Deadline: Submissions must be received by Monday, February 20, 2015. Best in Show will be awarded $10,000; Second Place will be honored with $2,000 and Third Place will receive $1,000. Additionally, a “Young Artist” whose birthday is after February 20, 1985 may be awarded $1,000. Artists must be 18 years of age or older and residents of Maryland, Virginia or Washington, D.C. Artwork must have been completed within the last two years and must be available for the duration of the exhibit. Each artist must submit 5 images, application and a non-refundable fee of $25. Celebrating its 10th anniversary, PULSE Contemporary Art Fair returns for its New York edition from March 5 – 8, 2015 at the Metropolitan Pavilion in Chelsea and hard-working DMV gallerist Adah Rose will be at the coming Pulse New York art fair where she will be showcasing Joan Belmar, Brian Dupont, and Alan Steele. I was fortunate to have lived in gorgeous Scotland, perhaps the most beautiful country on planet Earth, from 1989-1992 (although I had been visiting it regularly several times a year starting in 1987). 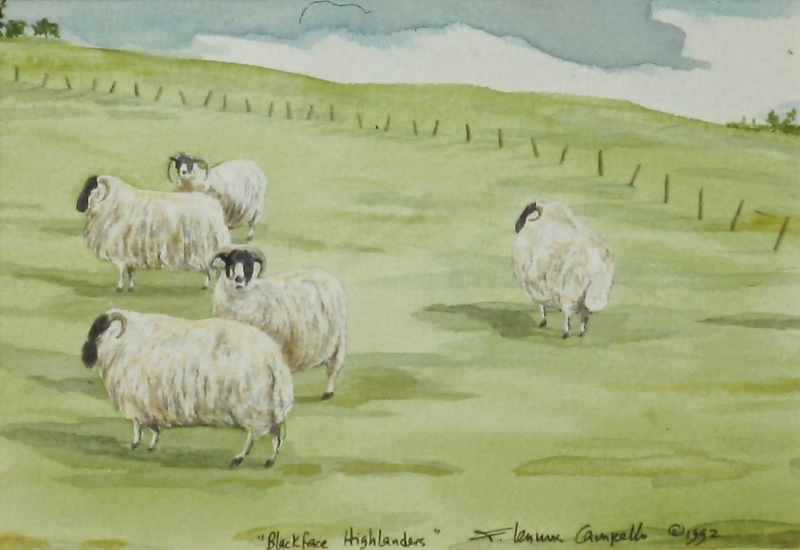 This spectacular nation is an artist's dream come true, especially if you are a landscape artist (which I wasn't), but the sheer beauty of the Scottish landscape turned me into one... and over the years I produced hundreds of Scottish watercolors, pastels and drawings (and some etchings) which celebrated not only the Scottish landscape, but also all the "stuff" around me (I lived in a farmhouse built in 1532), such as sheep, horses, cows, Highland games, fish, and the brilliant Scottish people. 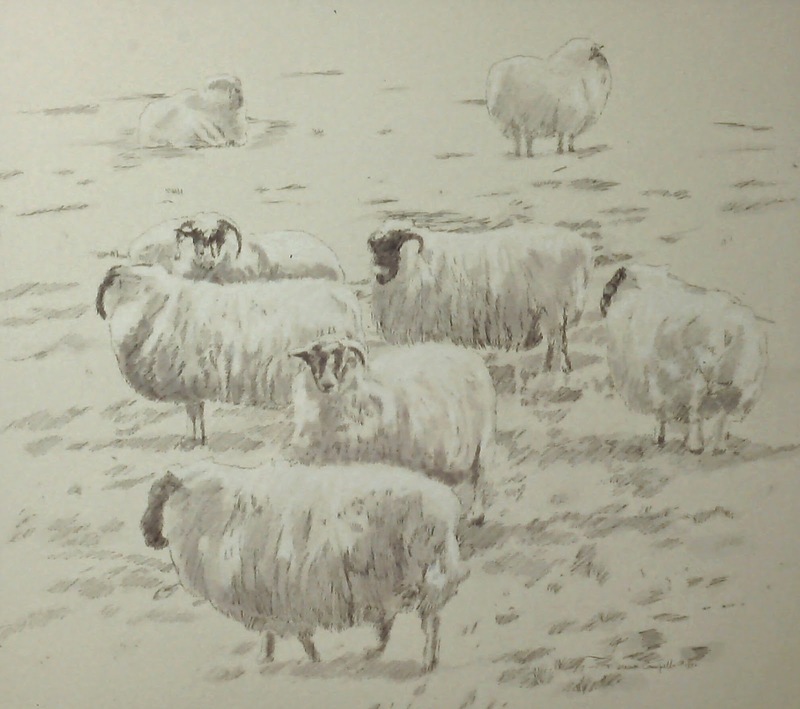 Here are some of the hundreds of pieces that I did on sheep, which were essentially everywhere! 30x40 inches. 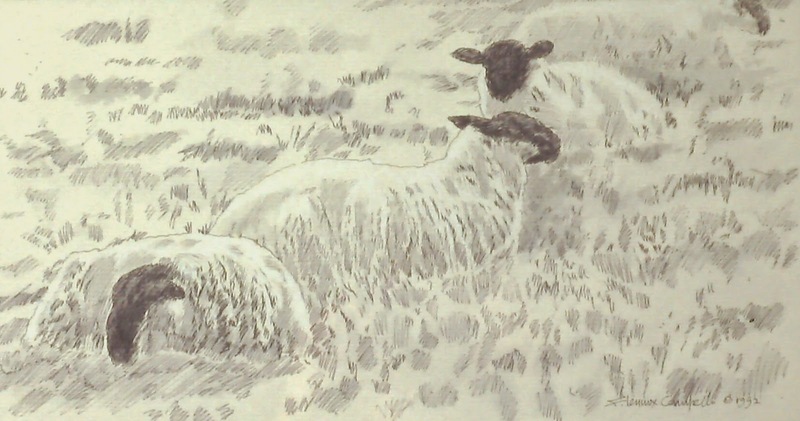 Watercolor on paper, c. 1990. 12x40 inches. Watercolor on paper, c. 1990. 28x40 inches. Watercolor on paper, c. 1992. In a private collection in the U.S.